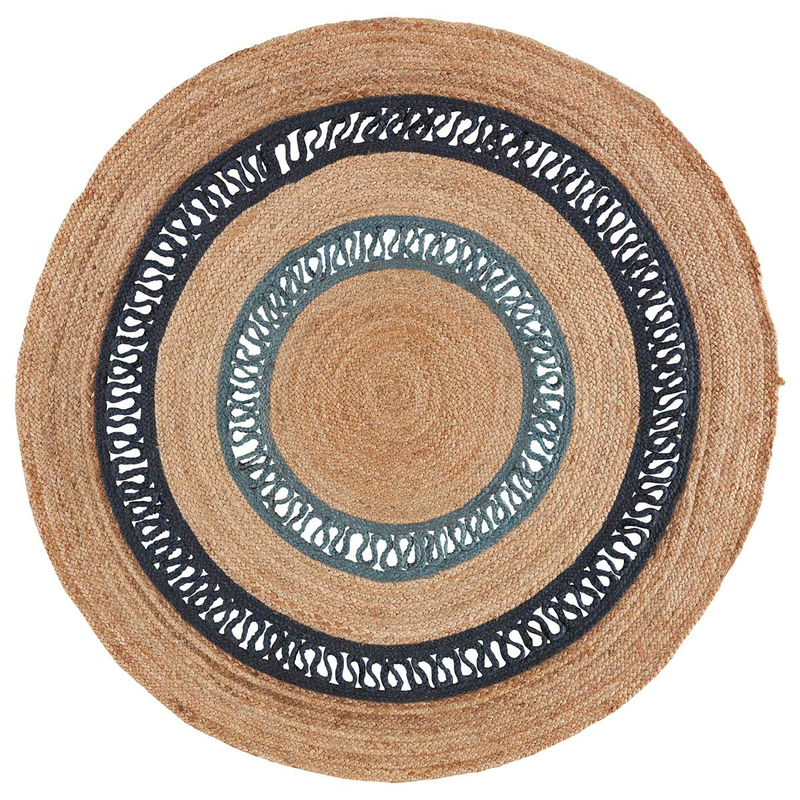 With textured, hand-spun and braided jute in a blue and natural geometric spiral design, the Blue Island Waves Jute Rug - 8 Ft. Round completes your coastal home. For further items, we invite you to take a moment to shop our extensive selection of coastal area rugs at Bella Coastal Decor today.